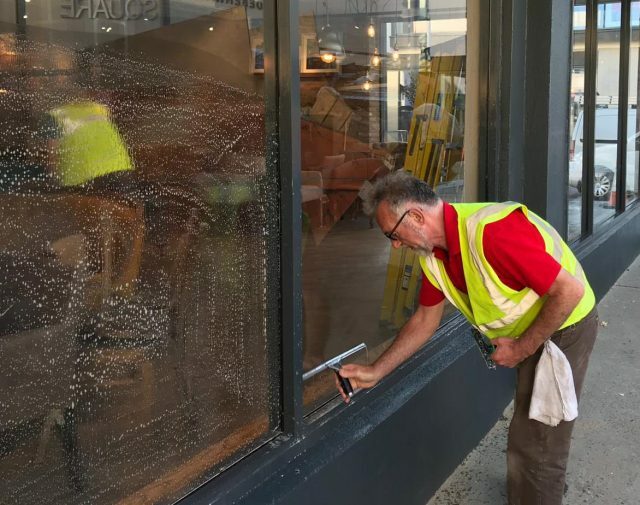 At Ryak Cleaning & Support Services Belfast we offer not only a home and domestic window cleaning service on a call out basis, but we also offer a domestic and commercial window cleaning inside & out service on a weekly fortnightly and monthly contract agreement. Our operatives are professionally trained to carry out your project to the highest standard whether you require a one off clean for a new building or refurb or a running contract we are keen to talk to you. Using the Wash & Reach System, which is the latest technology in window cleaning we can reach heights of up to 80ft from the ground. Our deionised water filters and water fed pole gives you outstanding results every time. This system is also perfect for conservatories, solar panel & external cladding. We also provide traditional method window cleaning using mop & squeegee system, commonly used on shops & single story dwellings. Ryak Cleaning and Support Services are the specialists in Commercial & Domestic Window Cleaning.